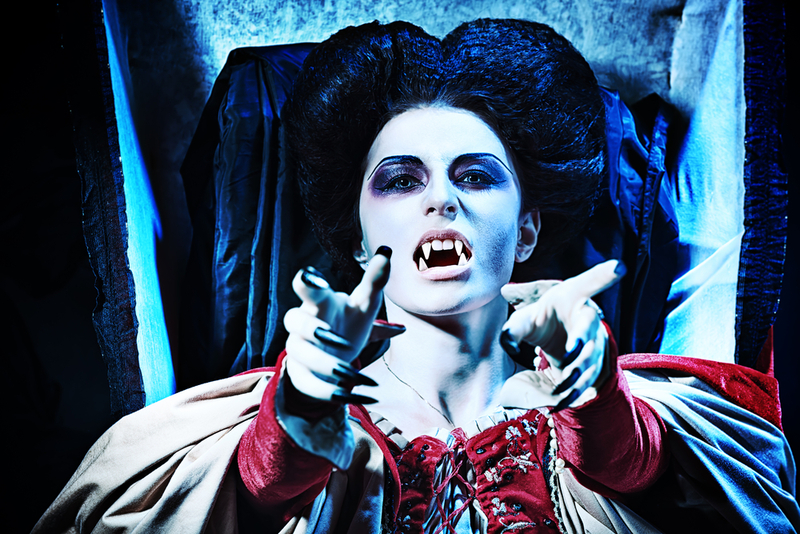 Interested in becoming a Vampire this Halloween? 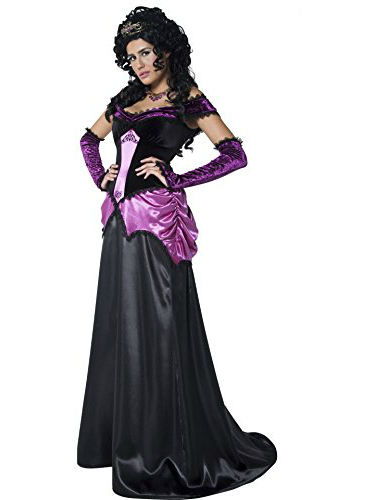 Why not go classy with this Vampiress Of Versailles Costume? 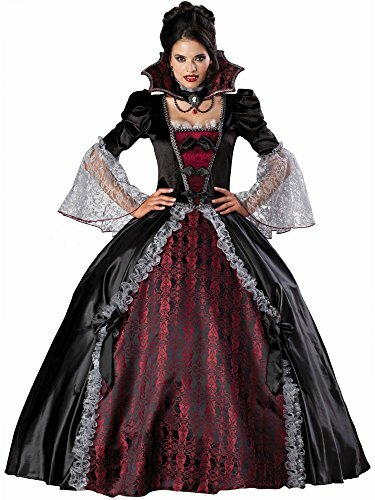 It comes with a full length ball gown, full structured petticoat and vampiress choker collar with skull cameo for that extra unique touch. This costumes elegance flourishes with it’s beautiful sanguine color and it’s supremely constructed quality, sure to last many years after purchase… You might even say that it’s Immortal. 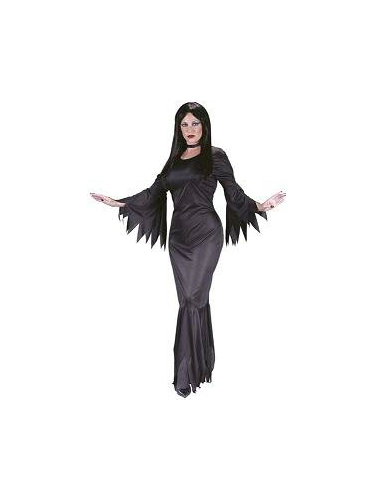 So whether you’re looking to go as a luxurious Vampire Queen hailing from France or high folk from deep south Louisiana, we highly recommend this costume! Here we have another variation of red Vampiress high society look. It comes with a short dress, an attached petticoat, and a choker. It sports a very regal and seductive appearance. It also comes with a built in crinoline so you don’t have to worry about making ture the dress “poofs”. The Amazon reviews say that it has very high quality and detail, a few of them even won Halloween Costume Contests! Nothing quite says “classic Vampiress” like Morticia from the old popular series The Addams Family. This costume has a retro feeling that is really easy to pull off. Making it perfect for a short notice Halloween Party or gathering with family and friends. It’s also a great costume for such a low price! For our last one, we thought something slightly alternative, as most Vampire costumes are usually all black or just black and red. The shade of purple and it’s long flowing skirt create an almost mysterious character. This costume uses lightweight material to avoid any overheating and it boasts a surprisingly great price!